The first Sunday of each month is a Family Service, conducted by the laity. Friends of St Ann’s meets at 6.55 pm on the first Tuesday of the month. Drop in to “Granny Annie’s” on Thursday mornings, 9.00 – 11.30 am, for a cuppa and a chat. Children are very welcome. Informal Family Teas are held on the fourth Friday of the month, 6.30 for 7.00 pm. Everyone is welcome. Check the Calendar for any other activities. Are you interested in the history of this church? 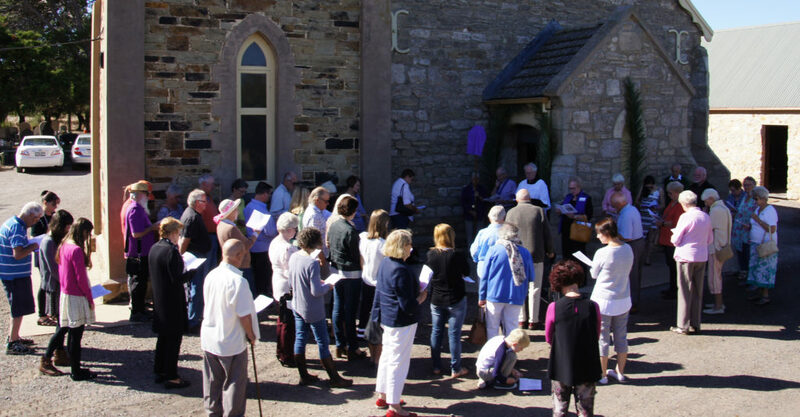 If you travel on Main South Road, past Aldinga, you will have seen the stone church of St Ann, read more . . .